Labelling for the sake of convenience has profound implications for young people and their families. All schools should ditch the deficit model. When I was appointed as SENCO 15 years ago, one of my first actions was to remove all references to 'SEN' from our faculty, my job title and our day-to-day conversations. We became the curriculum support faculty (supporting both the academic and 'hidden' curriculum) while I became the school's director of curriculum support. This was a very important decision as we moved away from a discourse of 'special' and the deficit of labels to a more holistic approach. Frustratingly, insufficient attention is given to the idea that certain 'special education' labels can imply deficiencies and shortcomings in children, meaning the surrounding discourse is one of deficit. A good example of this is the ASD/ASC debate, as covered well in Lynn McCann's blog post, 'What's in a name?' Needless to say, I see 'disorder' as a negative word with too great a focus on the problems. I'm quite certain that language used to 'label' does have a significant impact on our thinking. Some might argue that language in itself is not the problem, but the problematic belief system that the language reflects. 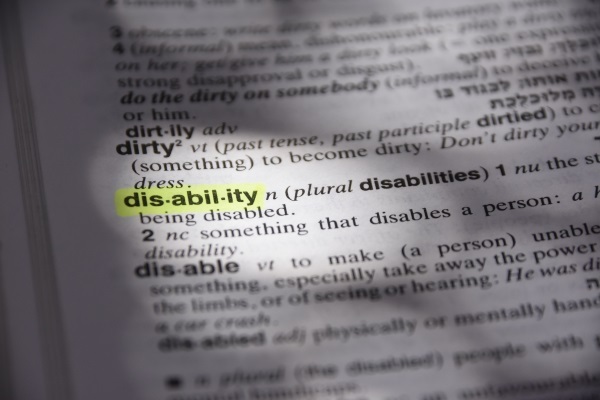 This isn't the first time in history that differences and disabilities have been singled out. In the Middle Ages, giving birth to a child with a disability was one of many potential signs of witchcraft. In British folklore, disability was associated with evil and figures of ridicule. ‘The term “special educational needs” (SEN) refers to a set of systems for organising educational processes and allocating resources (Terzi, 2010). Changing the nomenclature hasn’t stopped people from lowering their aspirations and perceiving young people with disabilities as less than or different to the norm. Duncan-Andrade and Morrell (2008) describe young people ‘plugged into the current educational system and expected to function’. The SEND reforms should have addressed this very issue. Sadly, as many have reported, this is most certainly not the case. Most of the historical debates around inclusion have fixated on this ‘human’ and ‘equal’ rights-based notion (Mittler, 2000) – now is the time to move forward. Debate continues to surround the discourse of inclusion; ‘special education’ is sometimes referred to as a discourse of exclusion (Barton 2003), while the ‘empowerment’ perspective is often dismissed as ‘impractical’ and ‘ideological’ (Thomas and Loxley, 2007). However, now is a more important time to move away from a discourse of deficit towards something more positive and outcome-led. If you are a SENCO, teaching assistant, school leader, governor or anyone else in a position to initiate discussions, your first step should be to look at what your department is called and what language the school uses in correspondence. Consider the mindset this all contributes to and the impact your terms and definitions is having on individuals and families. There have been some innovative efforts that put taxonomy at the start of a shift in focus; a discussion for 15 years ago, perhaps, but nevertheless something that we should be talking about now. Having discussed, reconsidered and rebranded, it's important that you keep looking for solutions as opposed to propagating the myth that young people can be ‘fixed’. This half term, how about giving yourself time to assess the impact of language (‘special’, ‘SEN’) on identification and subsequent provision. Is it time for change? Barton, L., (2003) The politics of education for all, in Inclusive Education: diverse perspectives, Nind, M., Rix, J., Sheehy, K., & Simmons, K. OU: David Fulton. Duncan-Andrade, J. & Morrell, E. The Art of Critical Pedagogy - Possibilities for Moving from Theory to Practice in Urban Schools (Counterpoints, 2008). Mittler, P. Working Towards Inclusive Education: Social Contexts (David Fulton, 2000). Penketh, C., 'Invention and repair: disability and education after the UK Coalition Government', Disability & Society 29/9 (2014), pp. 1486-1490. Terzi, L., Justice and Equality in Education – A Capability Perspective on Disability and Special Educational Needs (Continuum, 2010). Thomas, G. & Loxley, A., Deconstructing Special Education and Constructing Inclusion (Open University Press, 2007).